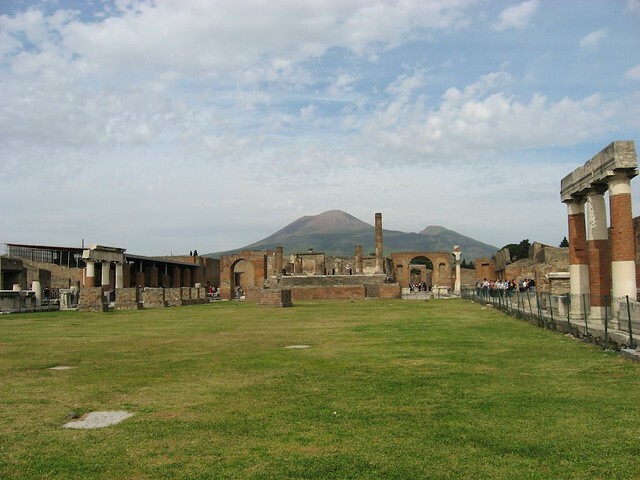 For centuries, historians believed that the eruption of Mount Vesuvius that both destroyed and preserved the city of Pompeii at its foot took place on the 24th of August, 79 AD. This date was based on the famous account by Pliny the Younger of the eruption and the death of his uncle, Pliny the Elder, a fleet commander at Misenum across the bay who attempted to save the city's population fleeing the eruption. 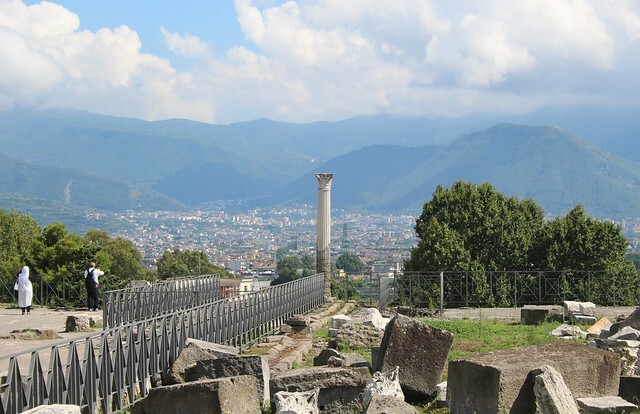 Just a few months ago, however, an inscription was uncovered dated mid-October, almost two months after Pompeii was thought to have been destroyed. This notation in charcoal, presumed to have been made by a worker renovating a villa, is dated to 16 days before the "calends" of November, or the 17th of October according to the modern calendar. Today, many scholars believe that the actual date of the eruption was October 24th, which would also be supported by evidence of autumnal fruits, heavy clothing, and heating braziers that have been discovered over the years. The previous dating error could be attributed to the fact that Pliny wrote his account of the eruption 20 years after the fact, and the original text has been lost, leaving scholars with later translations and transcriptions that mention dates ranging from August to November. 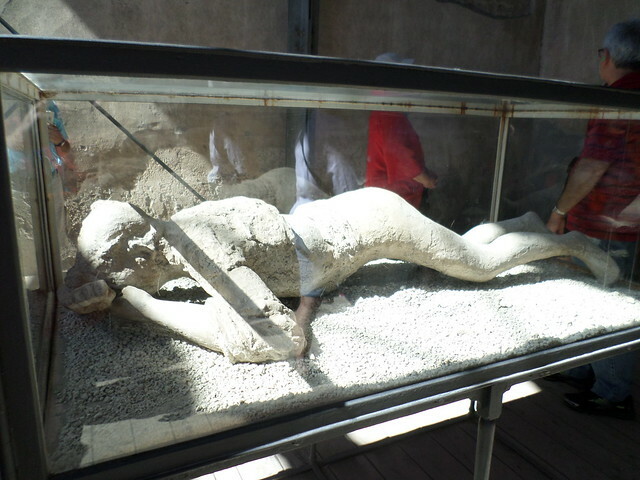 One of the most poignant sights in Pompeii are the many plaster casts of victims of the eruption, captured in their final resting position and created by filling the voids in the ash left by the decomposed bodies with liquid plaster. Today, a transparent resin is used, which allows researchers to study the position of the skeleton, but the overall technique is very similar to that pioneered by the archaeologist Giuseppe Fiorelli over a century ago. Recent excavations have uncovered a number of victims whose position and possessions have left clues as to how the eruption progressed and the timeline of the city's destruction. Recently, the skeletons of two women and three children were discovered where they sought shelter in the inner room of a villa, after wedging furniture against the door. Researchers have deducted that the group barricaded themselves in because by that time there was no chance of fleeing the city, as debris had been falling for 18 hours and the streets were blocked. Sadly, the five died as the house was covered in volcanic ash and collapsed, killing them under the flaming roof. One of the skeleton discoveries that got the most attention was that of a man who had been, it was thought, decapitated by a giant slab of rock. Later, archaeologists discovered his skull a distance away and deduced that the victim had already died of asphyxiation during the pyroclastic flow (the blast of hot gas and volcanic matter immediately following an eruption) when his body was crushed by the falling stone. Forensic experts found lesions on the skeleton's tibia indicating a serious bone infection that would have led to limited mobility, a possible explanation as to why the man wasn't able to escape at the first signs of eruption. The man was also found to be carrying a significant amount of coins in a small pouch, a poignant sign of his final thoughts of escape. The most photogenic discovery this year in Pompeii by far has been the magnificent House of the Enchanted Garden, named for its stunning frescoes of colorful peacocks, writhing snakes, and a wild boar being chased by hunting dogs. The villa was partially excavated in the 19th century, but the surprisingly intact frescoes and bright red walls of the main room, a lararium (designed to hold the images of the divine guardians of the household), were unearthed during new research over the summer and are now considered some of the best in Pompeii. In addition, archaeologists found the villa decorated by an enigmatic altar guarded by two serpents to ward off evil spirits and painted figures of a horse, birds in flight, and a unique figure with a human body and a dog’s head. In addition, a number of excavated domus near the House of the Silver Wedding are intricately painted with elements including cupids and botanical motifs; one boasts an entrance decorated with sumptuous frescoes featuring a pair of dolphins, now dubbed the House of the Dolphins. 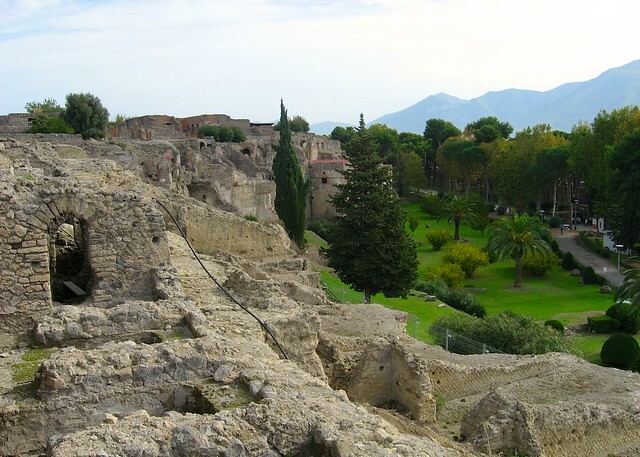 The newly discovered Alley of Balconies is named for the four balconies and the upper floor of a building, a rare find in Pompeii and a peek into how the streets once looked before falling debris destroyed all but the lowest levels of the homes and buildings. These new finds are still being studied and, in some cases, excavated, but all are slated to be opened to the public and included in tours of Pompeii in the upcoming years. 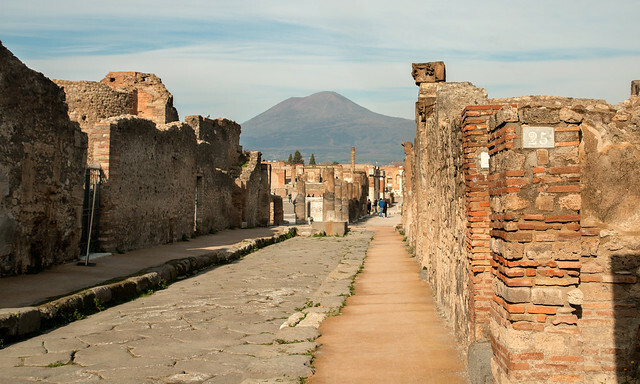 Even if you've already visited Pompeii, it may be time to consider taking another look at this constantly evolving and emerging ancient site.